RiotCats — Life after the CATaclysm! 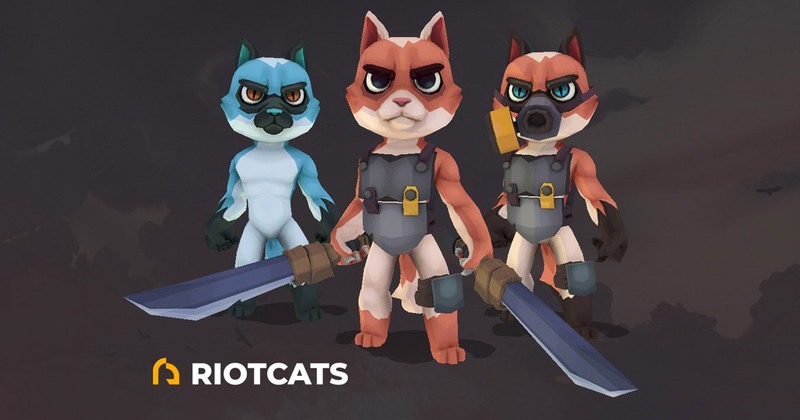 RiotCats is a post-apocalyptic world of cats surviving after a terrible CATastrophe. Save their population! Collect them, breed them, take part in cat battles, upgrade your characters and get new items of equipment and weapons. Our riot cats are absolutely CLAWsome because they are 3D cats. Each cat is one-of-a-kind because of the unique genetic algorithm. All information is recorded and stored using blockchain technology, so your cats are absolutely your property. They can’t be lost, replicated, destroyed or stolen. Thanks to ERC-721 protocol, you even will be able to exchange other ERC-721 tokens directly for our battle cats! Take up arms and fight across multiple maps on your mission to gain crypto.